William Wellman was a no-nonsense American film director nicknamed 'Wild Bill' for his hell-raising lifestyle. He was noted for his work on crime and action movies, and often focused on aviation themes. His film 'Wings' in 1927 won the first ever Academy Award presented for Best Picture and amongst the 76 films he directed were several well received satirical comedies, and such classics as 'The Public Enemy' in 1931, 'A Star Is Born' in 1937 and 'The Ox-Bow Incident' in 1943. In his career, Wellman personally won just one Academy Award, for the story of 'A Star Is Born' in 1937. He was nominated for the Best Director Award three times, for 'A Star Is Born', 'Battleground' and 'The High and Mighty', and in 1973, he was honored by the Directors Guild of America with a Lifetime Achievement Award. He was well known for disliking actors and actresses for their narcissism but he guided seven different actors in Oscar-nominated performances: Fredric March, Janet Gaynor, Brian Donlevy, Robert Mitchum, James Whitmore, Jan Sterling, and Claire Trevor. He was born William Augustus Wellman on February 29, 1896 in Brookline, Massachusetts, into a well-off middle class family. As a young man he became known as something of a hell-raiser and was expelled from Newton High School, Massachusetts, when he was 17, for an escapade involving a stink bomb. After several unsuccessful attempts at work including salesman and lumber yard driver, he became a professional ice hockey player, but in 1915, he followed his youthful ambition to become an aviator and, aided by an uncle, he left the United States to join the air wing of the French Foreign Legion. During World War 1 Wellman was hit by anti-aircraft fire and lost the tail section of his plane. His back was injured and for the rest of his life he walked with a slight limp. He became known as "Wild Bill" due to his devil-may-care flying and he received the Croix de Guerre with two palms. The "Wild Bill" nickname was to persist through his movie career, given his reputation as a colorful character and ladies' man with a liking for drinking and brawling. In 1918, when the war ended, Wellman was recruited by the U.S. Army Air Corps, commissioned as an officer, and stationed at Rockwell Field, in San Diego, California, to teach combat fighting tactics to new pilots. During his stint as an ice hockey professional, Wellman had become friendly with the actor, Douglas Fairbanks before Fairbanks became a major star. The actor was impressed with Wellman's looks and charisma and suggested he take up acting and promised to help him. He now made good his promise and was responsible for Wellman being cast as the juvenile lead in 'The Knickerbocker Buckaroo' in 1919. It was the start of a new career for Wellman but not in front of the camera. He decided that acting was not for him, particularly as directors got paid more than actors, and in 1920 he joined Goldwyn Pictures as a messenger and worked his way through the different departments such as editing and property, learning his new trade. He made his directorial debut, uncredited, later in 1920 with the 'B' Western, 'The Twins of Suffering Creek' and he continued his apprenticeship over the next few years with a number of low-budget movies such as 'The Circus Cowboy' in 1924 and 'The Yokel' in 1926. After making 'You Never Know Women' and 'The Cat's Pajamas' for Paramount in 1926, he was hired by them to direct the romantic World War One epic flying drama 'Wings' using his combat aviation experience. Wellman actually did some stunt flying in the movie, playing a German pilot. The movie was a massive production, using 65 pilots and 165 aircraft and took a year to film due to Wellman's perfectionism. Nevertheless, it was a great financial success and became the first Academy Award-winning Best Picture. It also helped put Gary Cooper, cast by Wellman in a small role, on the road to Hollywood stardom. In the 1930's Wellman cemented his reputation with some spectacularly successful films in a variety of genres. 'The Public Enemy' in 1931 made James Cagney's reputation, with his portrait of a gangster. 'Wild Boys of the Road' in 1933 was a socially conscious film about the Depression. In contrast, 'A Star is Born' in 1937 starred Janet Gaynor and Fredric March in a glossy tale about an actress's rise to fame in Hollywood. 'Nothing Sacred' in 1937 again starred March, this time teamed with Carole Lombard in a fast-paced comedy. 'Beau Geste' in 1939, with Gary Cooper, was to become a classic tale of derring-do in the French foreign Legion. 'Roxie Hart' in 1942, a smart and cynical comedy starring Ginger Rogers later became the basis for the stage and screen musical 'Chicago'. Wellman turned his hand to anything, but specialized in action films, particularly Westerns such as the classic anti-lynching' movie 'The Ox-Bow Incident' in 1943. He also directed some notably gritty war movies, such as 'Story of G.I. Joe' in 1945 and 'Battleground' in 1949. Later in his career he directed two films starring and co-produced by John Wayne, 'Island in the Sky' in 1953 and 'The High and the Mighty' the following year. His last film, 'Hell Bent for Glory' in 1958, was Wellman's return to the world of World War 1 fliers, a formative influence on his life. It featured the unit in which Wellman had flown and it caused his retirement from picture making when he reportedly became disillusioned with Warner Bros.'s post-production tampering with a film so personal to him. Wellman was a ladies' man for most of his life. He married four times, firstly to Helene Chadwick in 1918 when he was 22. They separated after just one month and divorced in 1923. His second marriage was also short-lived, to Margery Chapin from 1925-6. In 1931 he married for a third time, to Marjorie Crawford but divorced two years later. He met his fourth wife, Dorothy Coonan, an actress when she was appearing in his 1933 film 'Wild Boys of The Road' and they married in 1934. They had seven children, four daughters and three sons and remained married until Wellman's death. 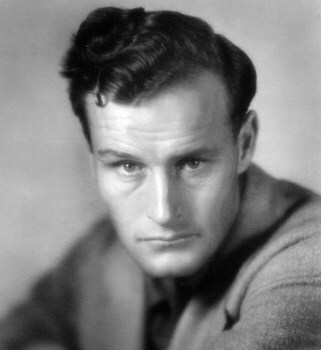 William Wellman died on December 9, 1975 of leukemia. He was cremated, and his ashes were scattered at sea. He was 79 years old.